The Poulan Pro PPCRT17 cultivator makes fast work out of hard work with its powerful 208cc engine and counter-rotating tine design. With a 17-inch working width, even the toughest ground is reduced to a fine soil and the self drive forward and reverse options mean everything is controlled with simple hand operations. Columbia tillers are engineered to run smoothly while still delivering the power needed to cut through the toughest soil. The result is a fresh, fertile seedbed that's ready for whatever you want to grow. 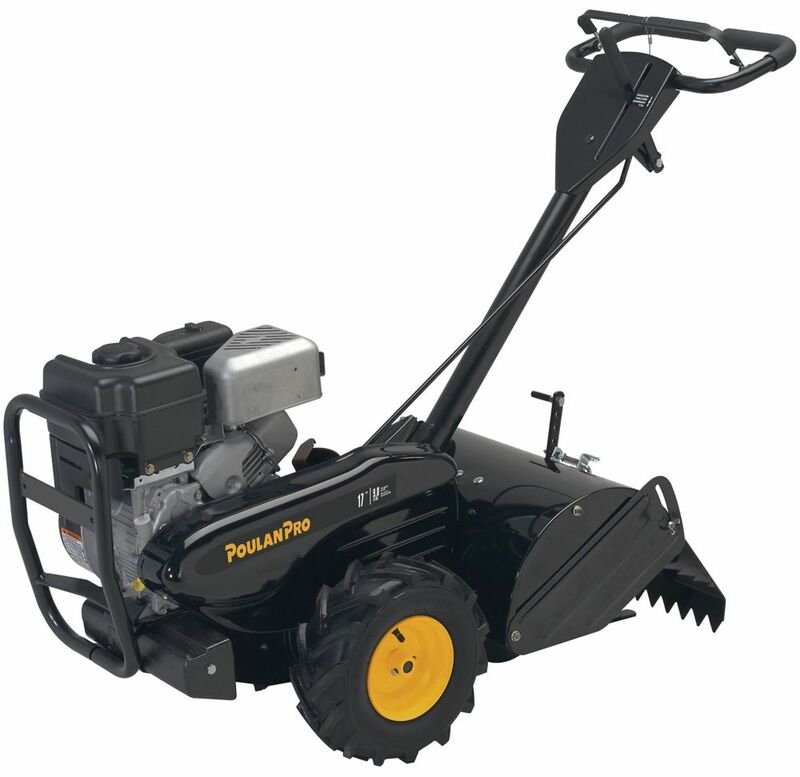 208cc Counter Rotating Tiller 13 inch, PPCRT17 The Poulan Pro PPCRT17 cultivator makes fast work out of hard work with its powerful 208cc engine and counter-rotating tine design. With a 17-inch working width, even the toughest ground is reduced to a fine soil and the self drive forward and reverse options mean everything is controlled with simple hand operations. 208cc Counter Rotating Tiller 13 inch, PPCRT17 is rated 1.5 out of 5 by 4. Rated 1 out of 5 by Ronda O. from Terrible Tiller Terrible Warranty Terrible Company After about four minutes of use, I heard a bolt break. And with that bolt something else was shattered: my trust in this company. After being unsuccessfully directed by the manufacturer to "authorized" repair technicians, none of which would actually perform any warranty repairs, we finally took the tool to a local repair shop where it was determined that the tiller has a bad transmission. So after one use, I'm getting back some Frankenstein-like amalgamation of a used tool and my garden is still untilled. Very unsatisfied!!! Rated 1 out of 5 by jwwk from Poor Quality. Handle broke at base. Handle broke at base in less than 2 years of use. The steel handle is poor quality and made of too thin of steel. Rated 2 out of 5 by Boxedh from Not as well made.. Bought a little over 2 years ago, and the handle just snapped at the base. Very thin steel used, very disappointed. Cannot find part to replace. Rated 2 out of 5 by Tomcat from Cheap made.. Had it for about 8 months and the handle bar shaft is cracked on both sides. Made out of 1/16 steel, not heavy enough.